Lauren Turner, A.K.A Ren The Doula, shares her new colouring book. The purpose of World Breast Feeding week is to spread awareness about the benefits of breastfeeding. To encourage people to share resources, knowledge, and participate in discussion about nursing within their communities and globally. The theme of 2018’s campaign is Breastfeeding: Foundation of life, with an emphasis on sharing the benefits of breastmilk for newborns and nursing parents as the foundation for whole life health and wellness. Part of our jobs as doulas is to prepare parents prenatally for nursing. 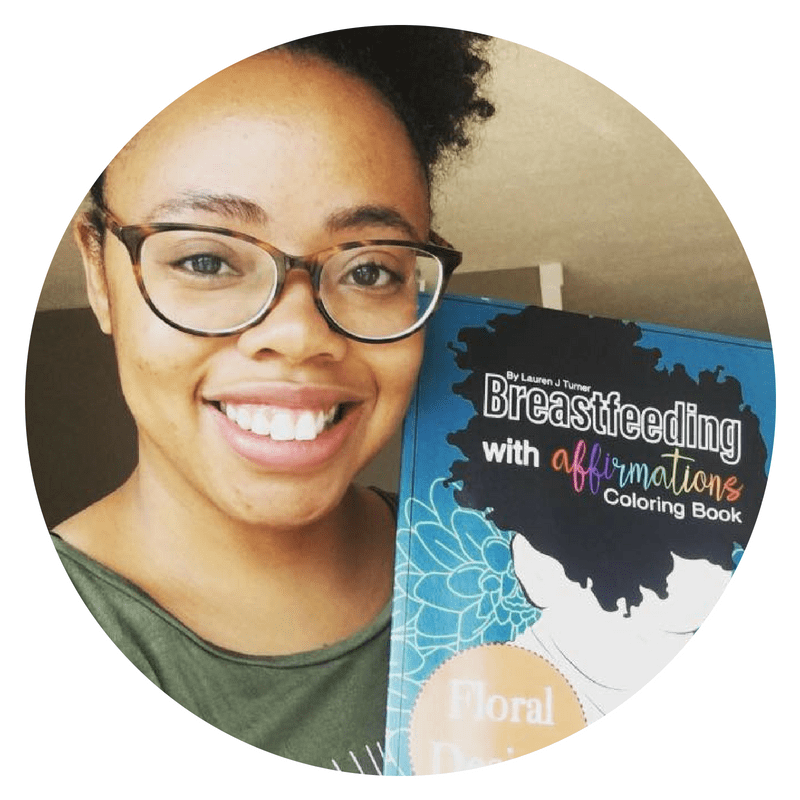 ‘Breastfeeding With Affirmations’ colouring book advocates for the normalization of breastfeeding through art. Tell Bebo Mia a little bit about yourself; how did you get into Doula work? My name is Lauren and I am a doula and artist serving the Baltimore area. My doula journey pretty much started when I got pregnant with my first baby. One of my high school teachers sent me information about hospital births and I decided it wasn’t for me. I had a home water birth with my son. It was pretty magical because he was born in his own room! It was in July and I could hear the birds chirping outside of his window. I started to naturally push and he was here. I felt empowered by my midwives and husband. Then, baby number two came unexpectedly. I had a hard pregnancy. I was dealing with family issues and I felt abandoned by them. We tried to focus on the positives but during my third trimester, my son got 2nd degree burns from an accidental hot tea spill. I carried all of my pregnancy tension into my labor. Although I was able to birth my daughter at home safely, I had a hard time. My midwife and husband helped me in so many ways. I don’t think I would have made it without them. This was a completely different experience for me and I needed them to just be in the space holding me, touching me and encouraging me. During my postpartum I dealt with the constant struggle of postpartum depression. My therapist told me that I had PTSD. I reached out to so many different resources and somehow I finally decided to check out the doula world. Learning about birth was more healing to me than other things I explored. I became more aware of how important it was to be supported. Becoming a doula was part of my healing and I became passionate about helping other people. What inspired you to create the ‘Breastfeeding With Affirmations’ colouring book? Breastfeeding was such a powerful outlet for me during postpartum with baby number two. I think it was the reason why I was able to pull myself back up and out of my depression. Every time I fed her at night I would get a rush full of happiness. I come from a family with mixed feelings about nursing and I was told not to breastfeed in front of them. Luckily, my husband supported my breastfeeding journey. So many women are not getting any support and that’s not O.K. 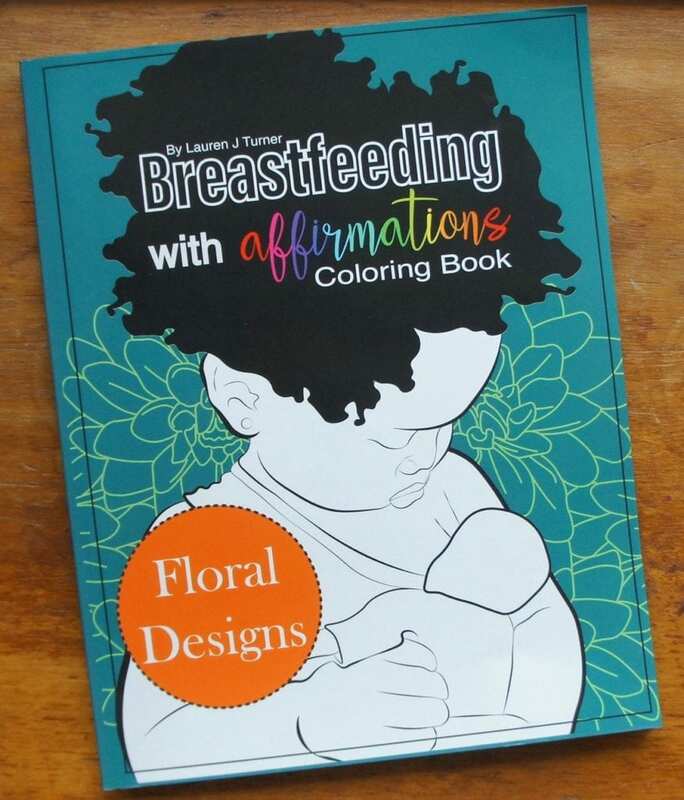 Breastfeeding With Affirmations: Floral Design Coloring Book. I really wanted to create something that didn’t require the presence of a person. What better way to communicate than art?! If a mom is not being supported she has her book that speaks and allows her to escape into her own world. What message do you want to share about breastfeeding through your colouring book and art? Pumping page from Ren’s new colouring book launching this fall! My message is that breastfeeding is normal and is powerful. Babies need to eat!!! They need to feel your body and heart just like they felt when they were inside of you. Art is such a powerful tool and isn’t being used as frequently as it should. Take some time and just do it. Indulge in something creative and add art to your self care routine. My hope is that people will use my colouring book as a form of art therapy, and learn about nursing and the benefits of breastmilk while having fun! Ren The Doula and her colouring book. Lauren is a doula and artist serving Baltimore, Maryland. You can purchase her colouring book “Breastfeeding with Affirmations Colouring book: Floral designs” at RentheDoula.com. Look out for her second book soon, all about breast pumping and hand expression! As we near the end of World Breastfeeding Week, Bebo Mia works to help spread the message and purpose of its initiative: informing people about the links between good nutrition, food security, poverty reduction and breastfeeding. Want to help educate people prenatally and during postpartum about breastfeeding? Check out Bebo Mia’s Breastfeeding Educator Certification. Feel confident answering all your client’s breastfeeding questions!